With the new release of ISO 45001, the internationally recognized standard that replaces OHSAS 18001, we now have a greater assurance of what the requirements for documented information will be. 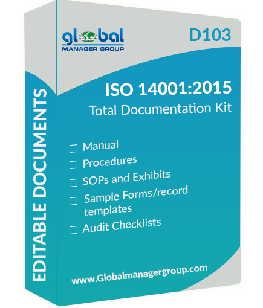 Many people consider documentation to be the hardest step in the process of implementing occupational health & safety management system according to ISO 45001:2018. It isn’t the hardest part, because it can be done in a fairly straightforward way by using a structured approach. 1. ISO 45001 Manual: A ISO 45001 manual presents information communicated by top management to provide the basis of the OH&S Management System. Since it is a very common document, it is usually the first document that a certification body wants to see to get familiar with the system. 2. Procedures: OH&S procedures can have different formats and structures. Procedures documents will include what actions are to be taken to eliminate or mitigate the risks and leverage the opportunities. It should include title, purpose, scope, responsibilities and authorities, description of activities, and reference to relevant work instructions, SOPs, and records. 3. Work Instruction or SOPs: The most common reason for creating a work instruction is to avoid nonconformities. Work instructions can be part of a procedure, or they can be referenced in a procedure. Generally, work instructions have a similar structure to the procedures and cover the same elements; however, the work instructions include details of activities that need to be realized, focusing on the sequencing of the steps, tools, and methods to be used and required accuracy. 4. Records and Forms: This documentation consists of the records generated as outputs of the planned actions discussed above. Most of these result from the various performance evaluation processes that are undertaken to monitor the system’s performance, such as monitoring and measurement of operational controls, compliance with legal and other requirements, achievement of OH&S objectives, and internal audits, as well as records of incidents, nonconformities, and actions taken. 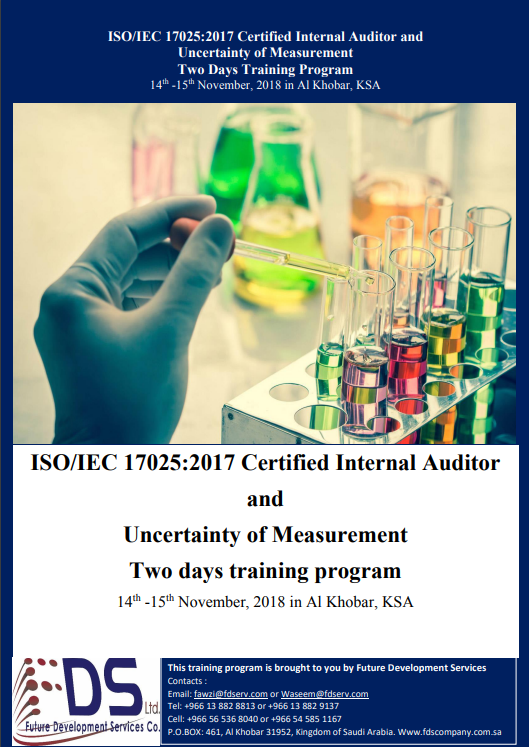 Future Development Service Ltd (FDS), a specialist professional services company providing training and consultancy solutions pleased to announce the two-day training program on “ISO/IEC 17025:2017 Certified Internal Auditor and Uncertainty of Measurement” at Al Khobar, Kingdom of Saudi Arabia from 14th to 15th November, 2018. 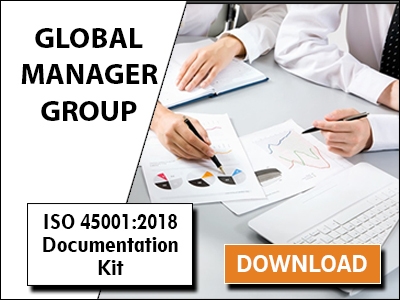 Future Development Service and Global Manager Group jointly announce this ISO/IEC 17025:2017 certified internal auditor training program. Mr. Devang Jhaveri, a reputed ISO/IEC 17025 trainer and consultant will be delivering this two-day training program. The trainer has rich experience of ISO/IEC 17025 training in more than 100 laboratories. FDS is offering this training program with attractive early bird package as well as group discount, if more than 5 participants booked at once. During this two-day event, the participants will know the key changes made in ISO/IEC 17025:2017 standard as well as gain an understanding of transition for laboratory conformity assessment activities through an interactive, guided tour of the standard. This course will help the participant to make their own system and prepare for transition to ISO/IEC 17025:2017, know how to audit as per ISO/IEC 17025:2017, prepare audit reports and understand concept of calculation of uncertainty of measurement, audit reporting etc. Laboratory personnel who responsible for the daily implementation of an ISO/IEC 17025 conformant management system can participate in this event, it will be the best opportunity. 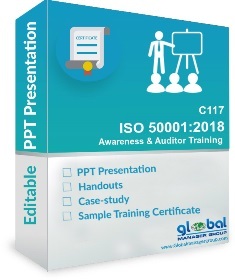 After completion of this course, all participants will receive a training certificate for ISO/IEC 17025:2017 certified internal auditor training. Mr. Devang Jhaveri has been providing management training and consultancy since 1991 and has more than 1800 clients in more than 18 countries. Devang had the experience of more than 30 years in providing ISO certification consultancy and management consultancy and globally more than 100 laboratory consultancy and many public training courses. So far he has conducted more than 100 training courses on ISO/IEC 17025 and many laboratories have got accreditation for ISO/IEC 17025 under his project management in GCC including leading refineries, Saudi ARAMCO, Gulf Laboratory, Buzwair, Al-Hoti, Ministry of Works (Bahrain), Q Chem., International Laboratory, Doha Technical Lab, Qatar Engineering Lab etc. Future Development Services Ltd. (FDS) is a specialist professional services company providing training and consultancy solutions to a wide range of clients, and to that effect, they are responding to specific demands of each client. These include, but not limited to, delivering innovative solutions that enable our clients to foster entrepreneurship driven work environment. They focus on delivering training, ISO consultancy, HR consultancy and more.